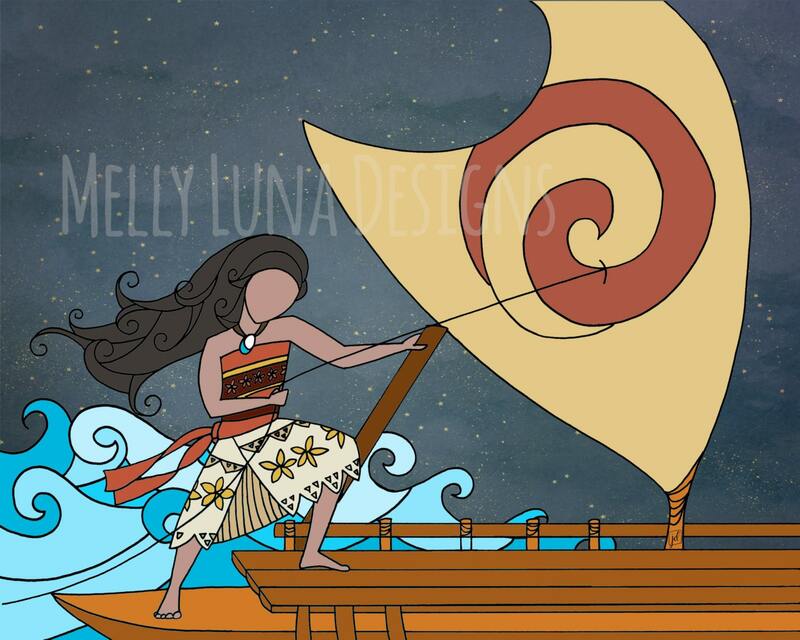 Original artwork inspired by the movie Moana. 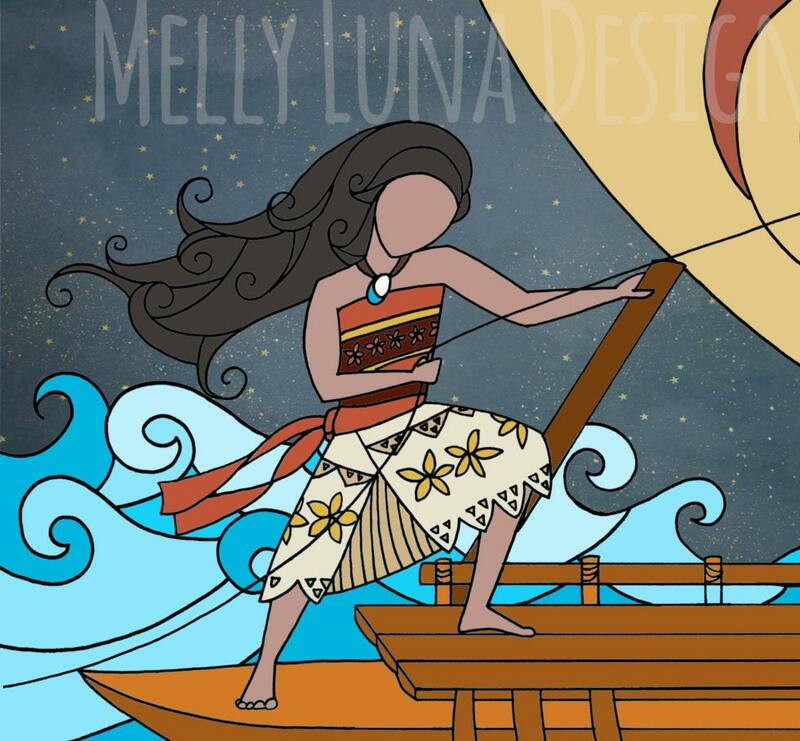 In this print, Moana is braving the storm to defeat Te Ka during the final battle to return Ti Fiti's heart. Perfect for any little girl to show she can be brave, strong, and make things happen.